The Harvard School of Public Health recommends whole-grain carbohydrates instead of a carb-free diet for healthy, safe and effective weight loss. Carbohydrates come in all types of foods, from grains to fruits and vegetables. Choosing the best whole-grain carbohydrates for your healthy eating plan offers the best in nutrition and energy, because the body needs carbohydrates for healthy organ function and as a source of energy for the muscles and other body functions. Suzanne Farrell, R.D., spokesperson for the American Dietetic Association, says people aren't eating enough whole grains. The U.S. Department of Agriculture recommends six ounces of carbs a day, half which should be whole grains. Recommended daily intake of carbohydrates for an adult on a 2,000 calorie a day diet is approximately 300 grams, while those on a 2,800 calorie diet, such as a bodybuilder, may need as much as 420 grams of carbohydrates. Whole-grain hot cereals like oatmeal or cold cereals that have whole oats, whole wheat or other whole grains near the top of the ingredients list are excellent choices. Such sources also contain vitamins and minerals, proteins and healthy fiber in their whole-grain state. For example, a 1/2-cup serving of oatmeal contains 27 grams of carbohydrates, while 1 cup of Corn Flakes contains 24 grams. 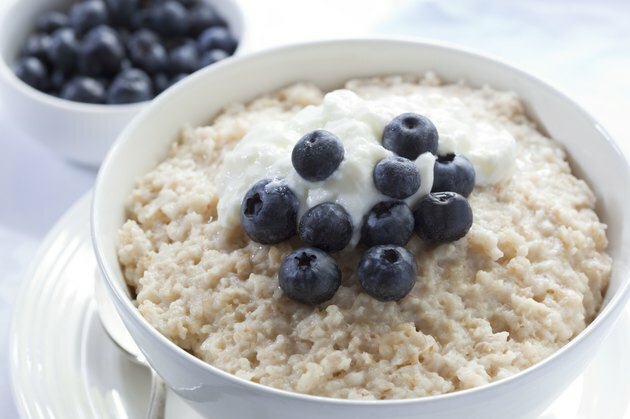 Oatmeal is a good option for you if you eat gluten-free. Check the label to make sure that it is not processed in a plant that also processes wheat, as there could be cross-contamination. Whole-grain or multi-grain breads are healthy and offer a variety of nutrients and good carbs for healthy energy. Rye bread is also an excellent source of fiber. 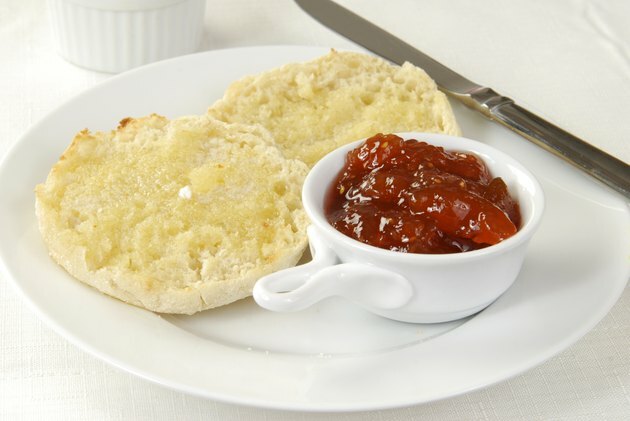 A whole wheat bagel contains approximately 70 grams of carbohydrates, while an English Muffin contains about 27 grams. The American Diabetes Association states that whole-grain breads contain vitamins, minerals and fiber. University of Michigan Integrative Medicine recommends choosing breads or whole-grain products containing at least 3 grams dietary fiber per serving size. Brown pastas or rice products such as whole-wheat lasagna noodles and spaghetti are excellent sources of whole grains. 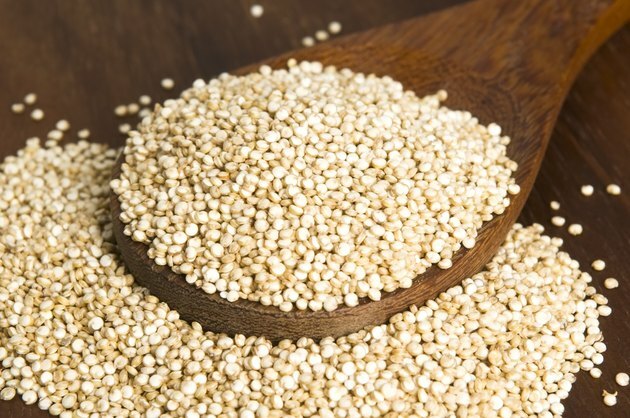 Newer products on the market, such as quinoa, bulgur and hulled barley or millet are also healthy and wholesome carbs. A 2-ounce serving size of pasta may offer up to 43 grams per serving, while 1 cup of brown rice offers about 44.8 grams per serving. If you need to eat gluten-free, try brown rice pasta. American Diabetes Association: Is It More Beneficial To Eat Wheat Bread or White Bread With Type 1? Is Whole Grain Bread a Good Complex Carb?